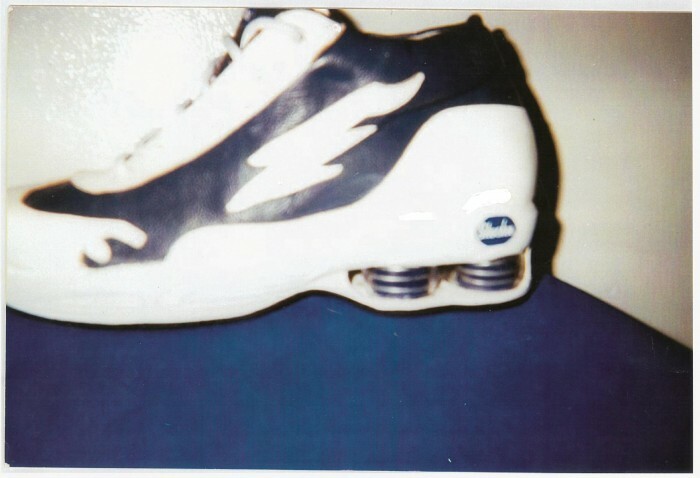 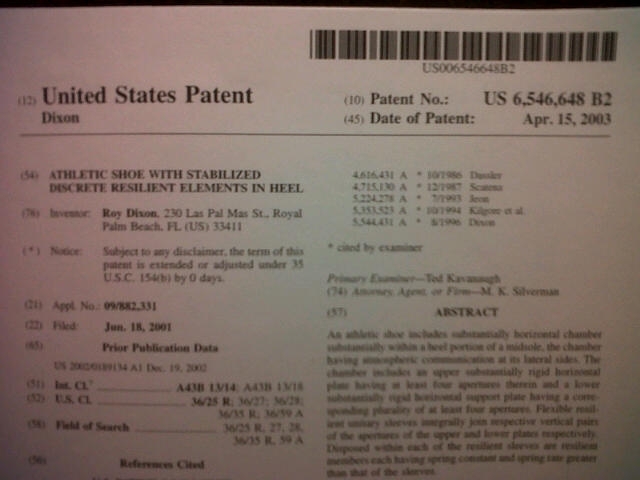 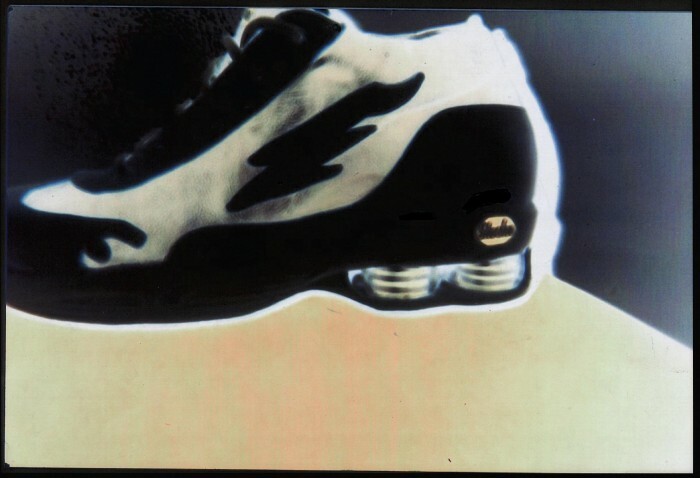 "The Original Nike Shox Shoe Patent"
This Shox shoe has been on the market for years and Nike has profited millions. 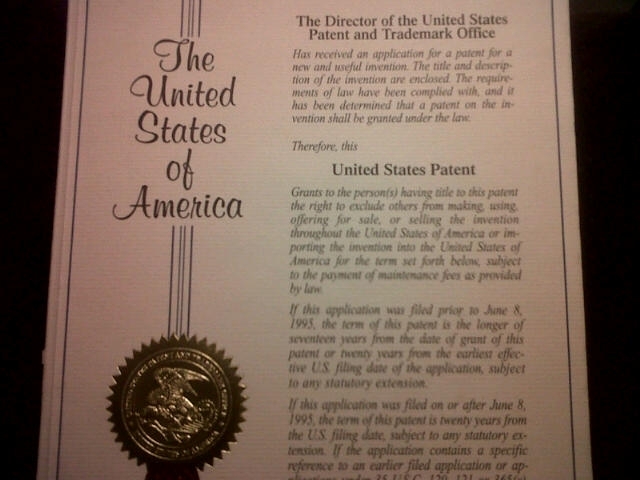 If you are interested in a license agreement or would like to purchase this patent I can be contacted at 1 (561) 670-8341 Thank you! 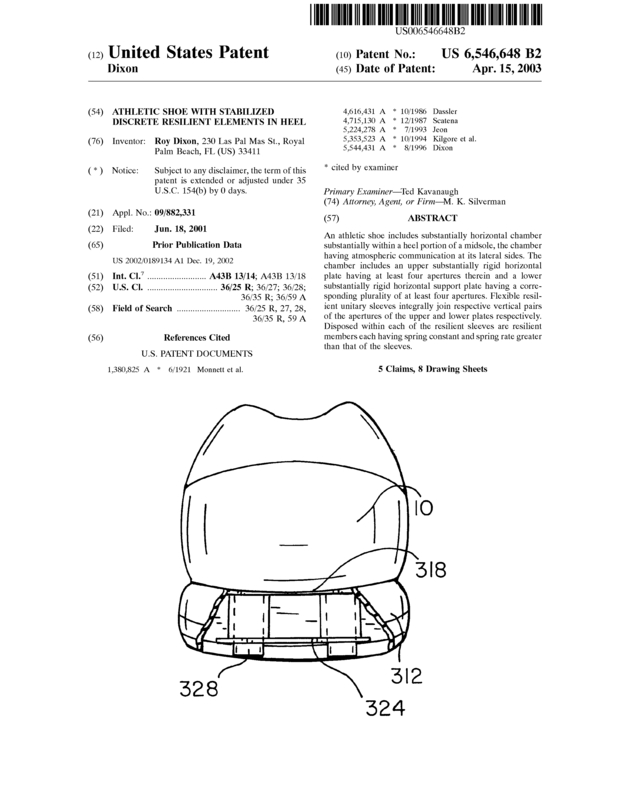 Page created at 2019-04-25 18:17:38, Patent Auction Time.